The third semifinals of the 2019 Global New Venture Challenge (GNVC) took place in Hong Kong on Friday, March 15 where seven teams competed for a chance to advance to the finals. 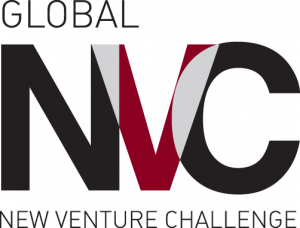 The GNVC is designed to expand the Edward L. Kaplan ’71, New Venture Challenge (NVC) business competition to Chicago Booth Executive MBA students worldwide. And in addition to supporting our entrepreneurial EMBA students, a unique benefit of this track of the NVC is the opportunity to engage international alumni and business communities around the world in the coaching and judging portions of the competition. Teams participating in the Hong Kong semifinals included ExpertEase, Fan Rice, Ukiyo Sparkling Sake, SoveNear, SurePromise (SPP), and STEORRA. In the end, Ukiyo Sparkling Sake and SurePromise were selected by the judges to advance to the GNVC finals. SurePromise (SPP) is a provider of e-commerce solutions designed to maximize revenue and minimize obsolete inventory for partners, combining big data analytics with global supply chain knowledge. Ukiyo Sparkling Sake and SurePromise will join the winners from the London and Chicago semifinal competitions at the 2019 GNVC Finals on Thursday, April 11. Joining the Hong Kong winners are Instilate and Moove from London and ARTvest and Paire Health from Chicago.